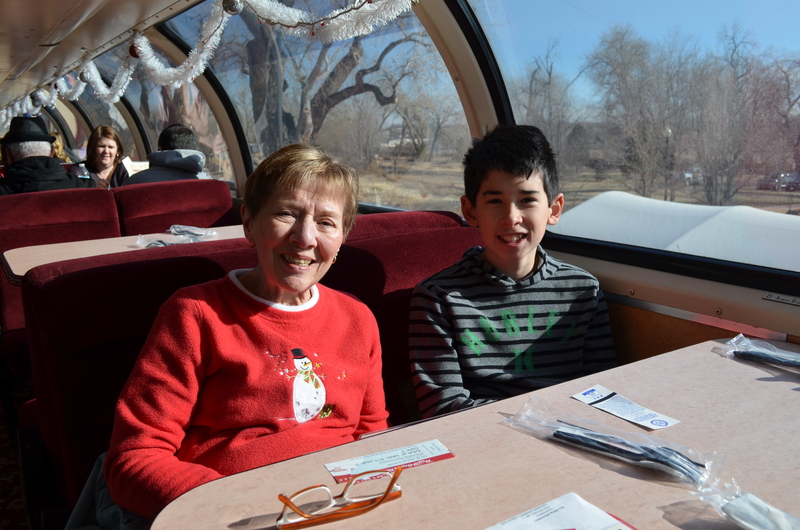 Dave’s parents visited during Christmas week and we got tickets for everyone for a daytime Holiday Train for the day after Christmas. We got the tickets nice and early (around Veteran’s Day) and were very pleased with the number of options available to us. 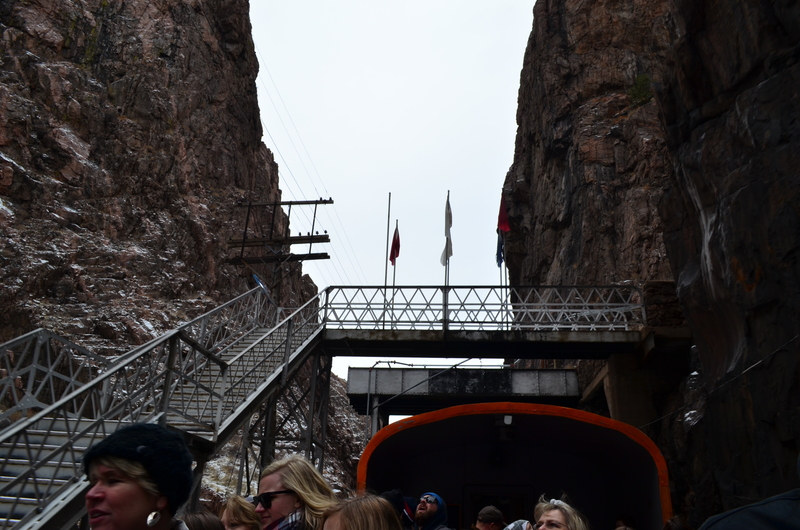 We choose to do a 12:30pm trip so that we could see the beautiful gorge. First Class: This is premium seating with a gourmet menu and wine pairings. There’s a minimum age (8) to participate in this level of service. $79-99 per person, with the cost of lunch being prepaid. Based on some recommendations from friends and the travel agent on base (mostly that the pre-paid option wasn’t necessarily worth the cost), we opted to purchase Vista Dome tickets and order lunch through their lunch menu for a separate cost. 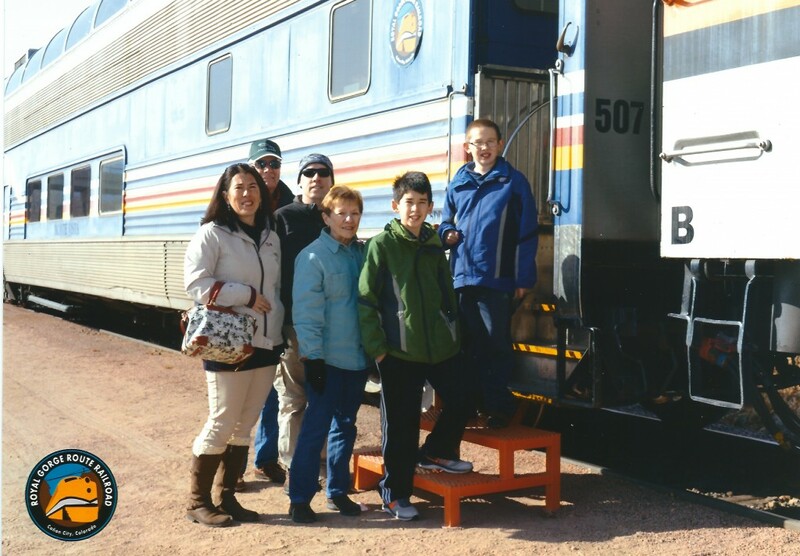 It was a very chilly day, so we were grateful for the nice warm seating on the train car. 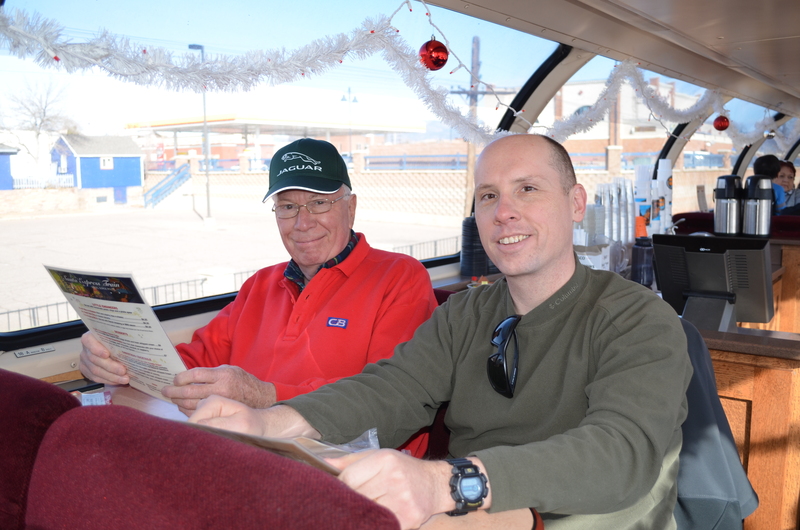 We had diner-style seating on our Vista Dome car. We put the train fans on their own side of the aisle! 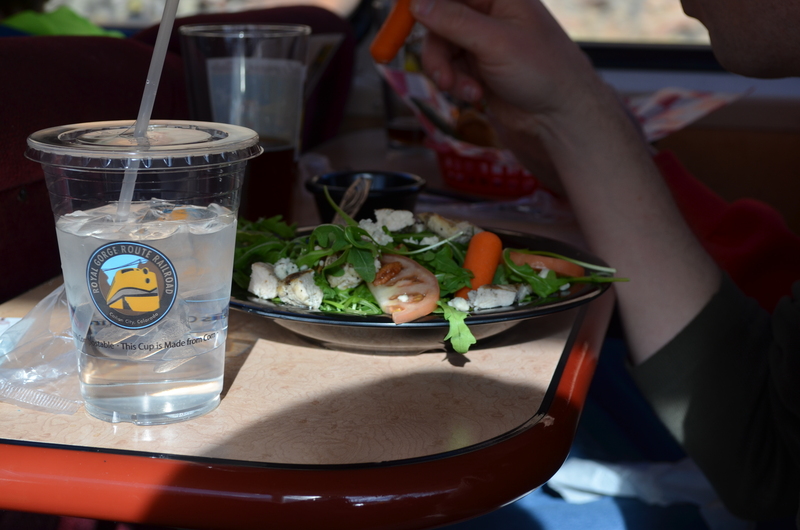 As soon as we boarded, we were able to order lunch and drinks. I got a grilled chicken salad for lunch. I wasn’t the best food ever, but it wasn’t bad at all. 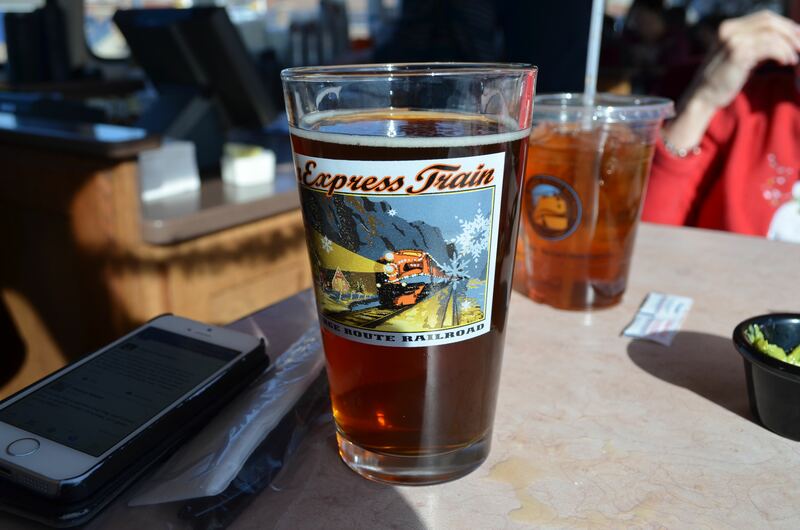 I enjoyed a beer in one of their custom Santa Train pint glasses. I picked up one of these at the gift shop after the train ride. 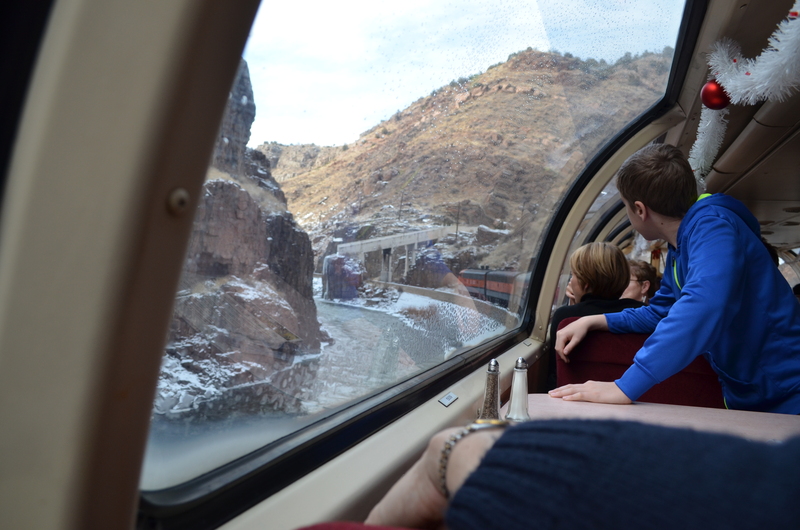 Once we were on our way, we thoroughly enjoyed the views out our dome windows. 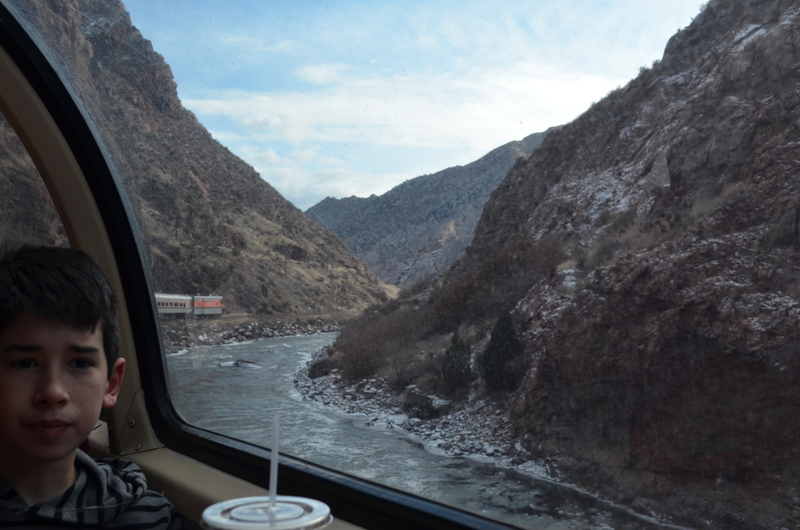 I spent some time out on the open-air observation car to get some more-clear photos. Note how narrow the canyon is here. This is terrain that’s tough to see via automobile. We found out there’s a hiking/biking trail that parallels the route that our family will need to check out sometime. I highly recommend the Royal Gorge Route Railroad for visitors to Colorado. 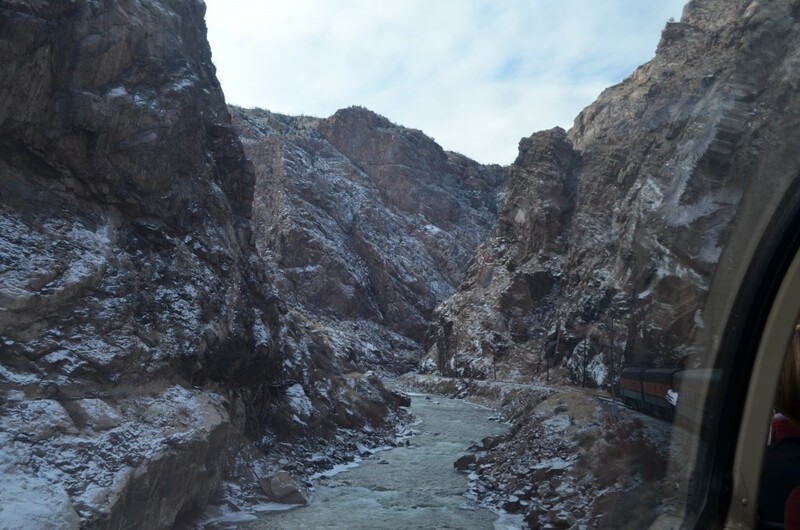 It’s a gorgeous route, it isn’t nearly as lengthy as the Durango & Silverton or Cumbres & Toltec (and therefore doesn’t have the same kinds of prices), and if you’re visiting Colorado Springs it isn’t that far a drive. 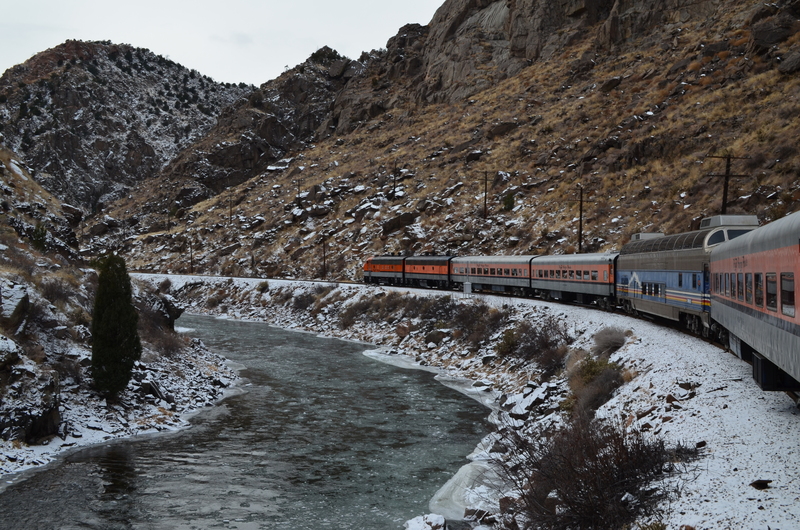 The train runs year round, but be sure to check the website for the specific dates. The Santa and Holiday trains are really pretty, but you can enjoy seeing the whitewater rafters if you take the trip during the warm season.